Founded in 1997 by Veronica Kastukevich, Custom Travel is a go-to source for over 20 years for all those looking to book luxury travel, family getaways, honeymoons, destination weddings, all-inclusive vacations, Europe, Hawaii, Tahiti, Escorted tours in the USA and worldwide, River Cruises, and so much more! We sell the World! Starting as a small local business in Connecticut, has grown into a family, store front business that is an Award Winning Travel Company with a worldwide client base that relies on Veronica Kastukevich and her esteemed team to organize and execute the finest travel plans for their clients. Providing personalized service with exceptional attention to detail, Custom Travel continues to thrive in an environment full of online agencies. You'll have to find out why. Contact Custom Travel today! Vacation is the time to get away. It is a time for relaxation and exploration. Whether you are planning a Destination Wedding, Honeymoon, Tropical Getaway, or Luxury Vacation, the Custom Travel team of experts is dedicated to giving you the ultimate travel experience for your destination. Learn more about our services and specialty locations below. 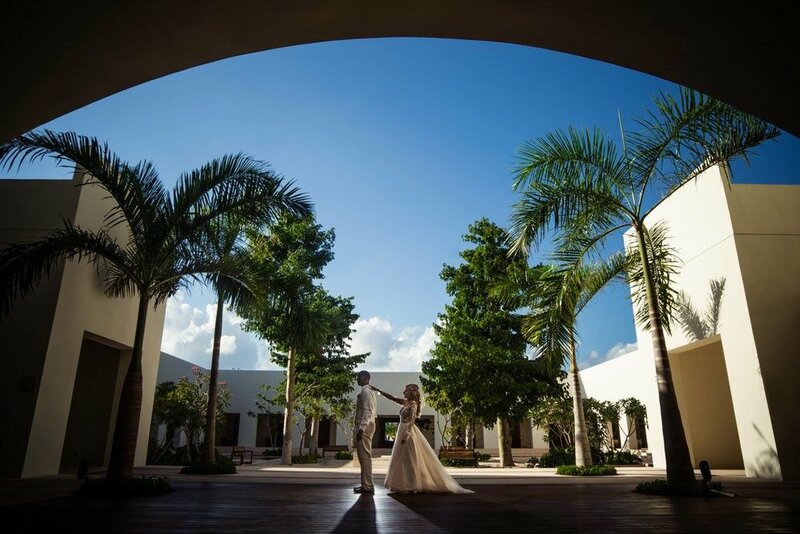 Imagine the blue water and white sand, a wedding celebration that lasts longer than a few hours, planning with little stress, and most of all, more fun! Destination weddings are simple to plan and Custom Travel will take care of all the travel plans for you and your guests. You sit back and dream of your perfect day! When the vows have been exchanged, the wedding rings are on and the cake has been cut, it’s time for one of the best parts about planning a wedding – the honeymoon! Whether you are looking for relaxation, adventure or a bit of both, Custom Travel’s travel consultants have expertise in honeymoon destinations worldwide and can help you choose the best destination for you and your new spouse! Tropical getaways are all about memories created in paradise, and with the options Custom Travel has to offer to help you plan the best vacation yet, the memories you make will last a lifetime! We are here to help you escape to a tropical paradise – all you have to do is get ready to put your toes in the sand. Luxury travel offers the best of the best: incredible destinations, intimate experiences, personalized services, gourmet meals, and beautiful surroundings that together promise a maximum of pleasure and a minimum of stress. Custom Travel has over twenty years of experience in planning luxury travel experiences. 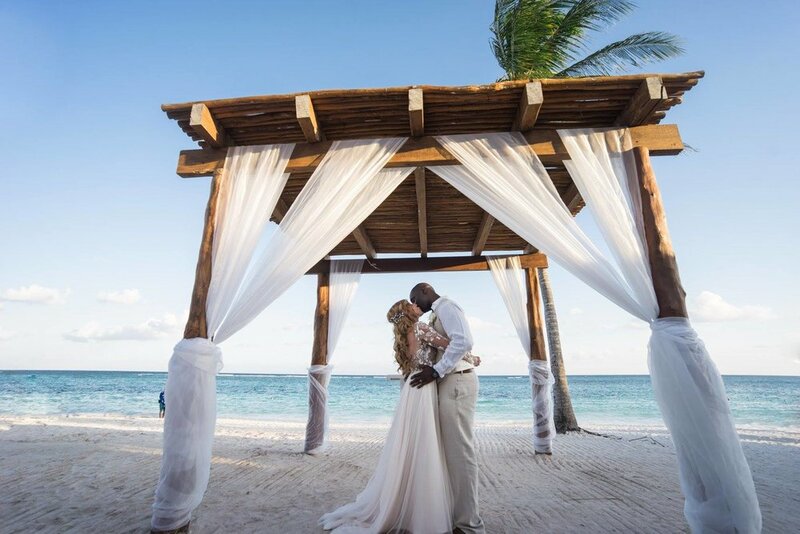 Combine an intimate ceremony with an exotic vacation for a wedding of a lifetime. 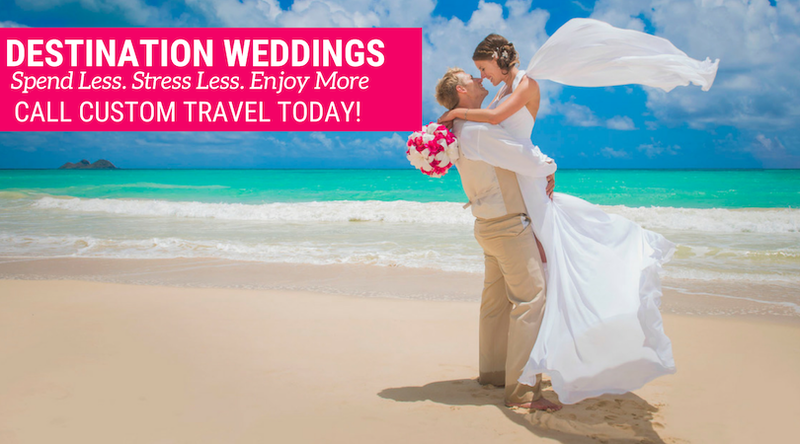 Our team of Destination Wedding Experts at Custom Travel is dedicated to making the planning experience painless and stress-fee. Custom Travel can help you plan a once in a lifetime wedding experience anywhere in the world.